dfYOUNG helped to secure a custom airfreight container using military-grade aluminum with unmatched safety and security during shipping and handling and developed a custom visibility system and communication tool specifically for the shipment of their vehicle globally. Risk of damage and a lack of communication and visibility regarding their concept, prototype and historical vehicles during transportation internationally. These are very high-value vehicles (most concepts are valued about $2.5Million; some historical vehicles are valued at $15Million). These vehicles are shipped via air, and at the time were packed in wooden crates, susceptible to flexing and damage during shipping and handling. Communication was done by email with internment updates by the vehicle handler traveling with the vehicle. The vehicle owner was left uneasy and unaware during each shipment. dfYOUNG gathered these pain points from the customer and developed a custom solution to provide a complete, premium service for these specialty, one-of-a-kind vehicles. dfYOUNG contracted a container manufacturer, who produces containers for the U.S. Military to manufacture a custom airfreight container (dfYOUNG’s AutoGuard Container). The container is constructed using military-grade aluminum and provides unmatched safety and security during shipping and handling. The container was intelligently designed both in size and functionality to provide the customer with the most options for shipping and use. It incorporates a variable track tie-down system, based on the dimensions of their entire vehicle inventory, which allows the container to be used on 98% of the vehicles (previously, a new custom container would have to be made for each vehicle for each use). The strength and functionality of this crate provided a far superior solution for crating of high-value vehicles. For communication, dfYOUNG’s in-house developers created a custom, proprietary visibility system and communication tool specifically for the shipment of their vehicle globally. The system is loaded with their vehicle inventory and shows the location of each at any given time. When a vehicle is shipped for an Auto Show or Special Event, the event is created in the system and shows all scheduled milestones for the shipment of the vehicle (pick-up, containerization, trucking, air shipment, customs clearance, warehousing, delivery, etc.). Each event is updated with notes and pictures by the vehicle handler traveling with the car in real time to provide information and visibility to the customer throughout the process. The system also provides a communication tool for the customer to ask questions and receive responses from the vehicle handler, a function that is especially convenient and beneficial with often significant time differences. dfYOUNG’s customer found this gave them peace of mind and control of their properties throughout the entire, complex process. These two improvements, paired with dfYOUNG’s expert international transportation management and professionally trained vehicle handlers provide a complete, premium logistics solution for this OEMs most valuable design and historical properties. 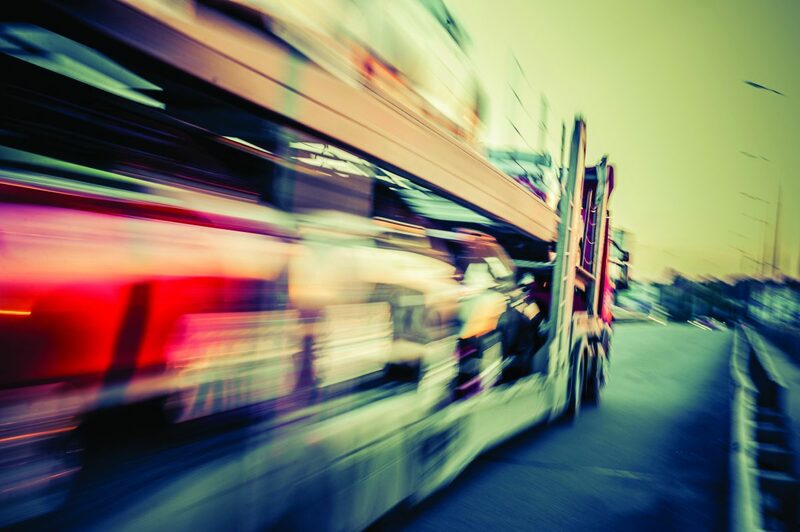 Beyond the above-stated impacts, shipments previous to dfYOUNG’s Specialty Vehicle Logistics Service improvements caused damage to at least one vehicle in shipment. There has been no damage since the implementation of this new service offering, and the customer has been extremely satisfied with the service, communication and control that they have throughout the process.